If you are looking for limo hire in Liverpool we are the perfect choice for your special occasion. We are Liverpool’s leading stretched limousine service offering you a stunning range of vehicles to suit your requirements in the area. Well there are numerous reasons, not least of which is our excellent customer ratings for our top quality limos, our experienced, friendly and knowledgeable drivers and our incredibly competitive rates. We go out of our way to make sure that, no matter what event or occasion you hire a limo for, your day is completely special and unique. Limo hire Liverpool is becoming increasingly popular for our company and if you’re planning a birthday party, wedding, school prom or a day / night out – why not travel in style with our affordable but glamorous limos, its simple, stylish and cost effective. Limousines have a stigma of being strictly for the rich, famous or formal occasions, but nowadays they are becoming more and more commonly hired for all sorts of events so why not join the fun and enjoy your next occasion or event in one of our stretched limousines. Our beautiful range of stretch limos and breath-taking stretch hummer limos are perfect for race days, pub crawls, nights out, hen parties, birthday parties, Weddings, school proms or pretty much any other occasion you can think of. We may be being biased but we believe there is no more glamorous and stylish form of transport to and from any event, no matter how small or modest. You can forget worrying about getting home, designated drivers or even traffic, just sit back in our incredibly comfortable seats, grab another drink from the bar and get the music going with your mates! The journey should be part of the whole fun of the event. Our most popular limos for hire in the Liverpool area are still our stretch limos, but we do have grander alternatives, such as our extensive range of stunning hummer limos, with the ability to carry up to 16 passengers – which are so breath taking they’re guaranteed to catch the attention of passers-by. If you’re looking to hire a limo in Liverpool, why not take a look at our incredible range of limos? We specialise in all occasions, from hen nights to weddings and even kids parties. All of our drivers are professional and friendly so you can have complete peace of mind traveling with us. Liverpool is a beautiful city, and an incredible place to get married – and what better way to arrive to your wedding than with complete style and class in a limousine? Whether you want to arrive at the church in style or even to the reception, our experienced chauffeurs and staff will do everything to ensure you have a memorable and pleasurable experience. Our fabulous limousines will definite have a lasting impression, but you don’t have to get married just to enjoy the limo experience, why not hire a limousine just for a night out with your mates? A day to the races, a children’s party, a school prom, or even just to show your loved one how much you care. Our limo hire service will help you to arrange an unforgettable surprise for your loved one in Liverpool, even if it’s just to a local restaurant or a cruise around Liverpool with romantic music playing – whatever you want, we can help make it happen. 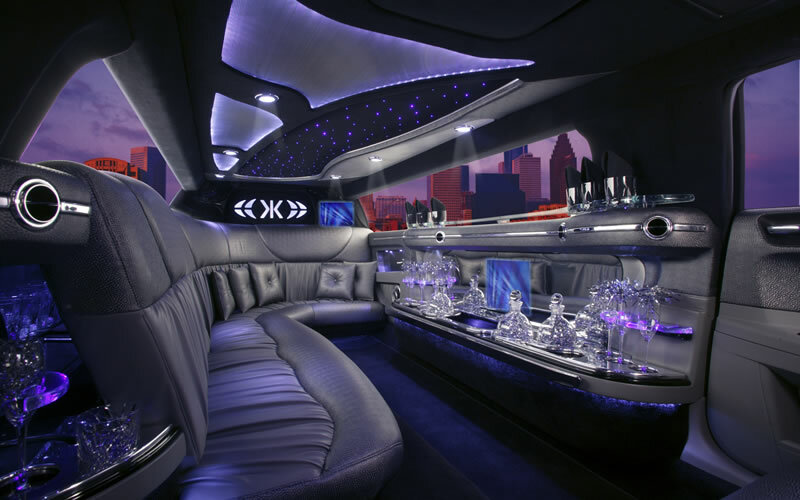 Liverpool is renowned for it’s incredible nightlife experience, and your birthday night out can be made even more special when you hire a limo from limo hire Liverpool. 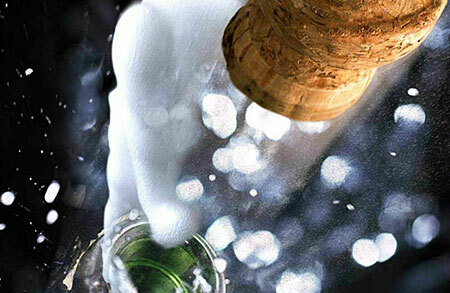 Our limos are fully equipped with everything you need to make your birthday celebrations an unforgettable experience for you and for your friends. We’ll drive you and your friends around Liverpool to the clubs so you can just sit back and enjoy a drink from the bar, safe in the knowledge that you don’t have to worry about travel to and from anywhere. Show off in celebrity style turning up to the local pub or club in a fabulous stretch limo. Renowned for the hosting of the Grand National, Aintree Racecourse is one of the most famous race courses in the world. Why not make a day out to the races even more spectacular by hiring one of our extraordinarily competitively priced but incredibly fabulous limousines? We will ensure your journey both to and from the races are just as enjoyable as the event itself, with our limousines fully kitted out for comfort and entertainment. And who knows, if you get lucky you could even make a night out of it and carry on into Liverpool city centre to celebrate. We’ll do all the hard work so you can enjoy yourself effortlessly. Liverpool is home to the international airport Liverpool John Lennon Airport (formely Speke Airport and Liverpool airport), which offers numerous domestic services including regularly scheduled flights to the whole of Europe. Travelling to the airport by limousines may seem a bit much for the sake of comfort and luxury, but it may in fact be a money saver for a large group of people sharing – with taxi services charging a large premium for travelling to an airport. We can carry a substantial amount of luggage and pick you and drop you off right at the terminal doors! 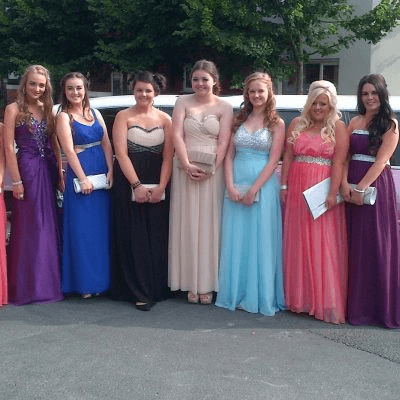 School prom season is an extremely busy period for us, and every year we are forced to turn away people who have left it too late to book a limo for a school prom. To avoid this, we can tell you from September which dates in July have been earmarked for school prom season for the following year. 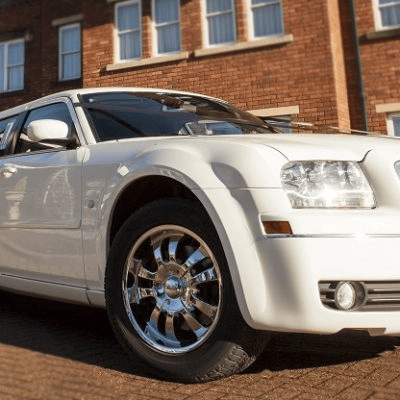 We have provided our limo hire Liverpool services to numerous school proms over the years and we pride ourselves on the reputation of our service, trusted by hundreds of mums and dads to ensure their children arrive safe and in complete luxury and style to their prom. Our services is reputed for its reliability and we are more than happy to do everything we can to make the experience as enjoyable as possible, including taking photos both inside and outside of the limousines to create a lasting memory of their big day. All of our drivers have years of experience driving to hundreds of areas in Liverpool and the surrounding Merseyside area, and know exactly where all the best spots are. If you like the idea of sitting back in complete comfort and luxury whilst experiencing all the sights that Liverpool has to offer, why not book a limousine with Limos North West? We can give you a complete tour of the city and round it off with a luxurious trip to a fancy restaurant or night club. Limos North West are reputed for our reliable service, experienced chauffeurs and incredibly competitive rates. We do all the hard work so you can sit back and relax whilst we do everything we can to make your journey as pleasant and enjoyable as possible. Our business limo hire service in Liverpool can be excellent motivation and morale booster for your staff, whilst we do everything in our power to ensure that you and your staff have a pleasurable journey, whether you’re going on a staff night out or simply to a corporate event. We have packages exclusively tailored for business events and can guarantee to provide a relaxing, enjoyable and reliable service. Call us now to find out more about what we have to offer. North West Limos offer an unrivaled and prestigious service for Liverpool, and are the areas most trusted company for stretch limo hire for any occasion. We have exclusive packages to suit your needs and occasion in the Liverpool area and the whole of Merseyside. We have provided limos for all sorts of occasions and are reputed for our high quality services. 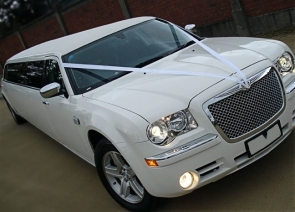 Our services include but are not limited to wedding limo hire in Liverpool, hen party limousine hire Liverpool, children’s parties, stag parties, birthday nights out, school proms and many more. 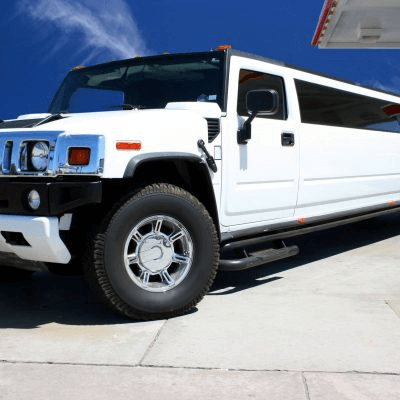 We have an extensive range of fabulous limousines from the standard stretch limousine to our breath taking range of incredibly stretch hummer limos, which can carry up to 16 passengers. Liverpool has lots to offer as a city and you can experience it all in luxury, comfort and style whether you simply want to drive round and see the sights or experience the renowned night life of the city. We also offer services for the Grand National at Aintree Racecourse, ensuring you have an unforgettable day regardless of the occasion. 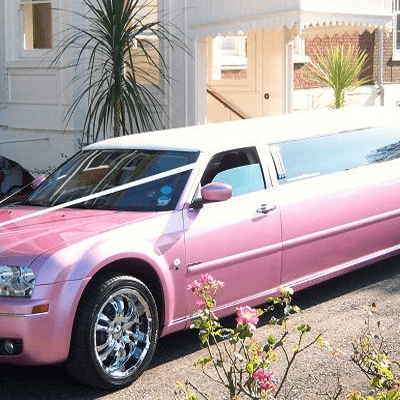 Our Pink Limo Hire in Liverpool is perfect for a safe, professional and punctual limo hire service for all occasions throughout Liverpool. We take pride in our excellent reputation for our services through Liverpool and are proud of the positive responses we receive from all of our customers on a regular basis.